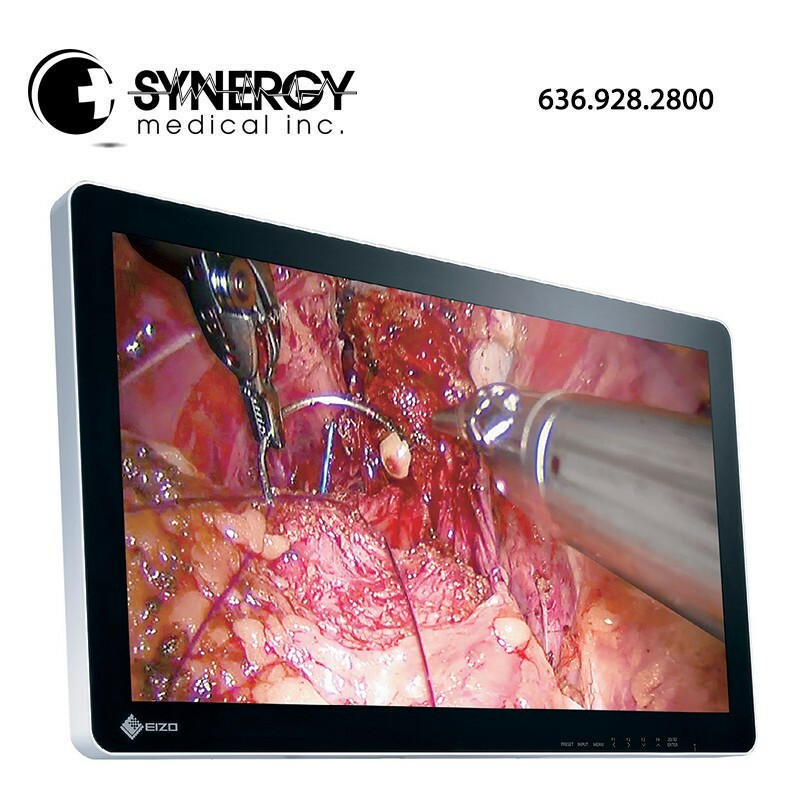 Faithfully reproduce stereoscopic images with the EX2620-3D 26-inch widescreen 3D surgical monitor. The EX2620-3D monitor uses a 3D LCD panel with an LED backlight, a brightness of 580 cd/m² and a contrast ratio of 1400:1. It displays in full HD resolution, and faithfully reproduces 3D surgical images for endoscopy and operation microscope feeds; creating a feeling of depth where stereoscopic imagery is required. Operating rooms contain various medical devices that are arranged by the type of surgery being undertaken. In consideration of safety, EIZO’s surgical monitors adopt rounded corners. The front is covered with a fully flat protective glass that is dustproof and waterproof (Monitor front: IP45, overall: IP32). Reflections on the screen of LCD monitors are caused when external light hits the screen and reflects off of the glass and air layer at different refractive indices. Optical bonding technology minimizes the refractive index by bonding the LCD display with the external protective glass; removing the air pocket between, and reducing eye fatigue caused by screen reflections. The protective glass used has a hardnes of more than 9H, making it difficult to scratch. Optical bonding improves the physical strength even more by injecting optoelastic resin into the air pocket between the LCD panel and external glass. Since there is no gap between the LCD panel and the external glass, damage to the LCD panel from dust and moisture can be prevented. When using a monitor in an environment where the temperature can fluctuate severely, condensation may appear in the air pocket between the LCD panel and protective glass. Using optical bonding, there is no air pocket, meaning that condensation does not form and visibility is not compromised. The CuratOR EX2620-3D uses a polarized system for displaying 3D images with excellent color characteristics and without flicker. Regardless of the orientation of the surgical camera, you can rotate or mirror the screen by 180 degrees to find the perfect operating view. The monitor is designed to dispel heat without the use of cooling fans. This creates a quiet, reliable monitor that doesn’t interfere with the air flow in the operating room.